I’m looking forward to rocking with Dj Yeah Right this friday at Monarch SF! Great drinks, great music, and great dancers on the ceiling hoop thing. You just can’t go wrong, and it’s always free. 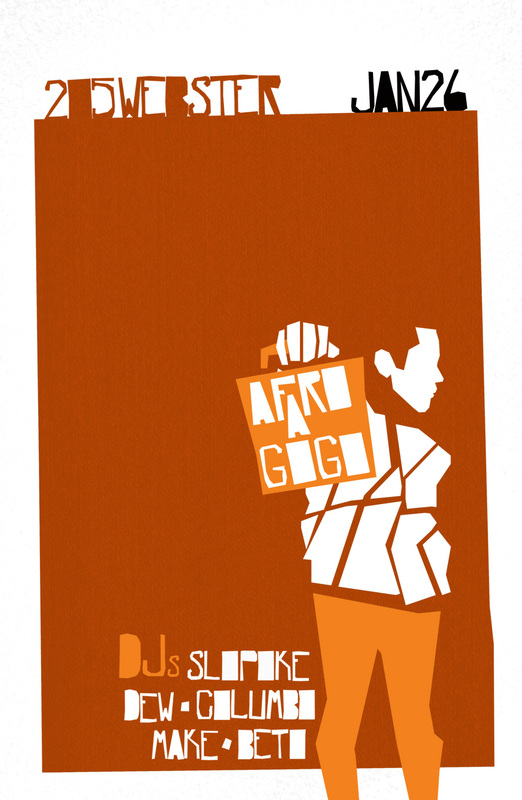 You should also check out Yeah Right’s design portfolio, the man is multi-talented! Damn, haven’t written anything here in a while.. That’s gonna change. But for now… I definitely have to share this momentous occasion. 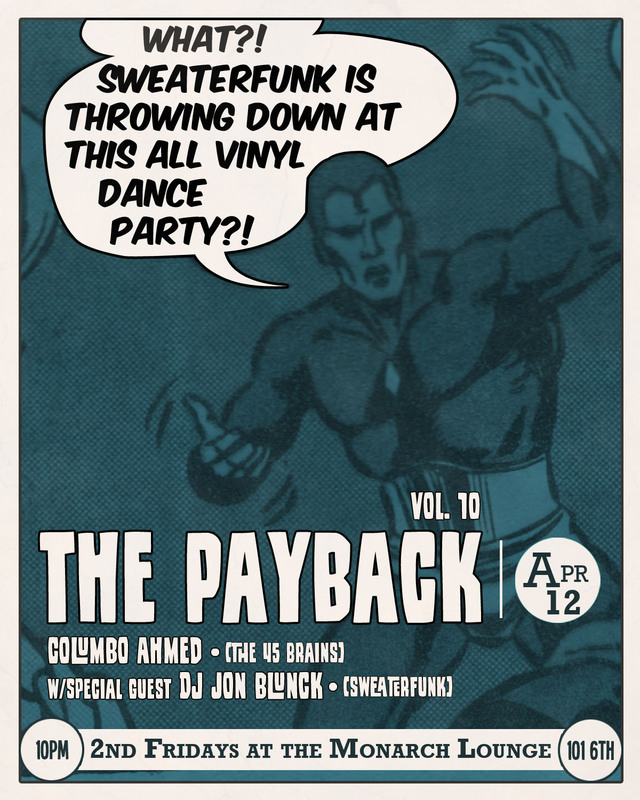 Drum roll — Jon Sweaterfunk will be blessing the Monarch turntables this friday. I can’t wait to play some fun records with the man! I’m looking forward to this one! 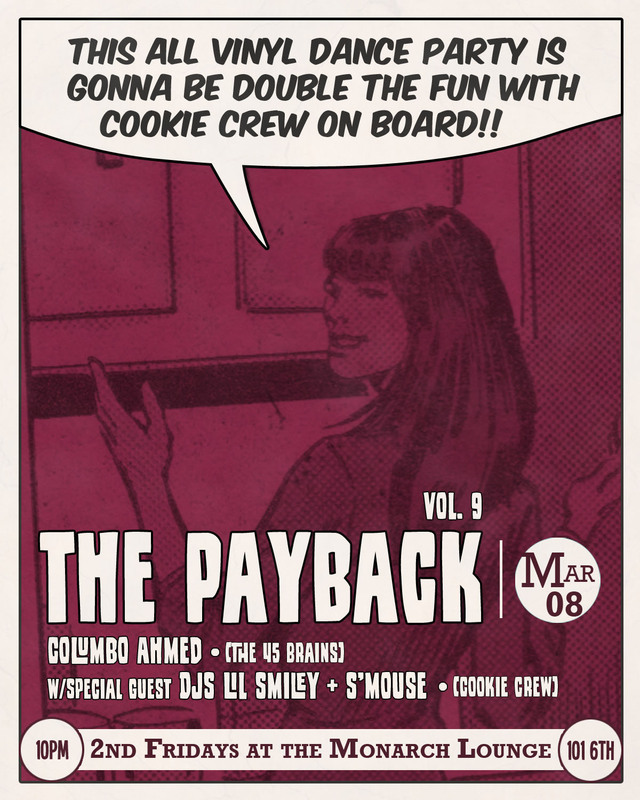 I got DJs Lil Smiley and S’Mouse on deck (together they make up Cookie Crew). Surely gonna be a good time. Once a year, my housemates and I throw a party. We break out the BBQ pit, my man Moses works that beverage magic, my brother Gabe delights us with some obscure footage projected on our wall 9 feet across, and I buy a crap ton of spray paint for our guests to go wild. We really can’t throw this party more often if we tried. But it’s that time again! Here’s the flyer I cranked out for it. Thanks to Beto, M.Ake, Slopoke, and Dew for coming through to play us some tunes. Can’t wait! And as some of you know, I love posters and I’m always looking for reasons to design a few. Feel free to contact me with ideas/events/gigs that you need a poster or flyer for. I need to keep the razor sharp. I’m proud to be spinning alongside The Funky Cabron tomorrow at Monarch. Slopoke was the first 45 slinger I saw when I first moved to San Francisco and was an instant inspiration for me. Come check us out! 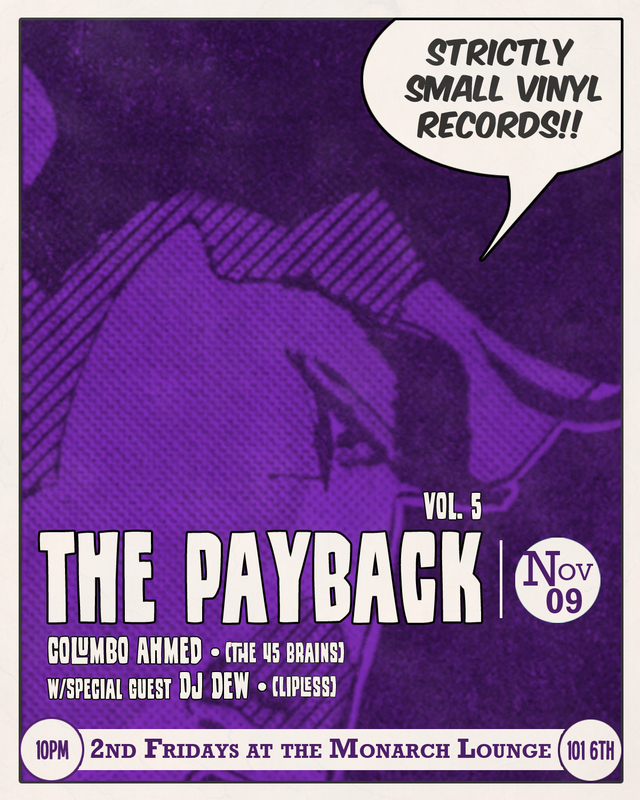 The Payback Vol. 6 with DJ Mendoza! Can’t wait to drop a few new Xmas gems I just picked up. And Dj M.Ake is expected to stop by and get a few sets in with Mendoza and me! Looking forward to rock this holiday! 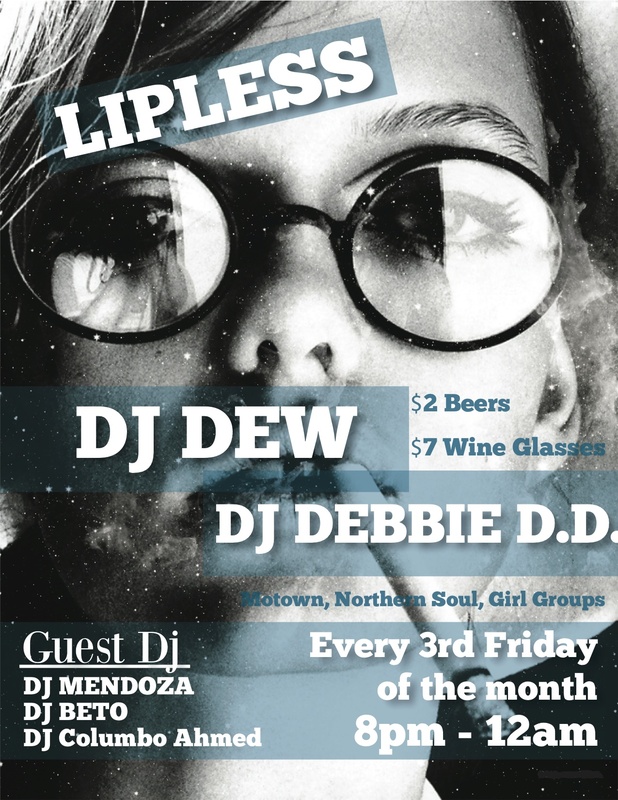 Gonna kick off Obama’s second term by rocking some sweet soul with my man DJ Dew of Lipless. I’m gonna let you know right now: Dew is a collector, and I know he is going to bring some new, new, oldies that I’ve never heard before. Can’t wait to play some records with him that will force you on your feet. And I know I owe you guys footage from Volume 4 with Reggae Delgado and Slopoke, but it’s a lot of material to go through! Give me a break! Well it sure has been some time and I do miss this space. Life took a turn for the busy so I took a few weeks off to get my act together and refocus. Nothing like taking a step back from writing to actually take a look at what I have accomplished and what has been roasting on the back burners. I have been investing a lot of energy behind the scenes trying to make sure that The Payback has enough legs to stand on its own. And it has been quite the energy sink. Four months running though and the party is jamming. For Volume 4, we have my good friend DJ Reggae Delgado lined up, the very same man who killed it at the reggae edition of The 45 Sessions last month. I am excited to have him spin with us over at our humble starting grounds at The Monarch Lounge! 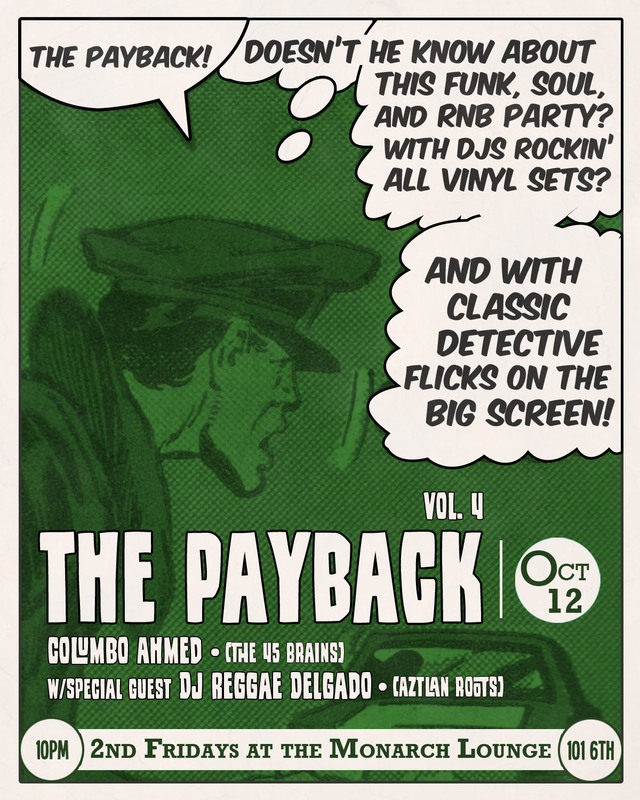 Here’s the flyer for this month and a video featuring some footage from the September Payback with DJ Beto. 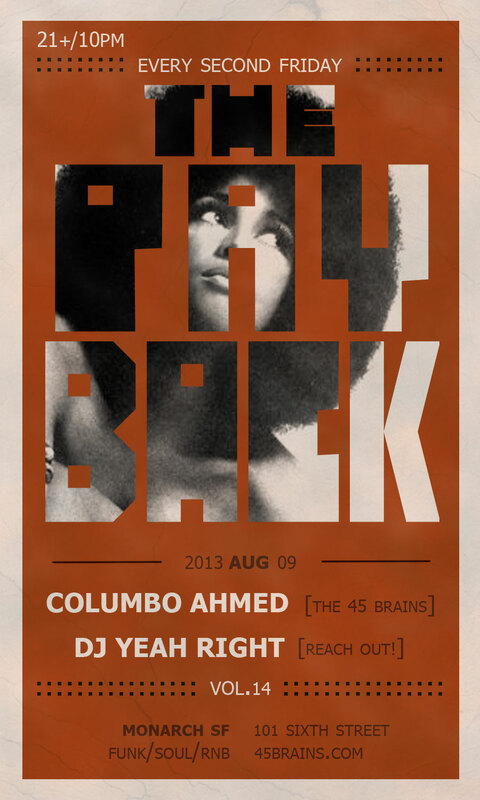 Delgado and I had a collaboration called #45Fridays way back so make sure to check that when you get a chance. What else can I say? 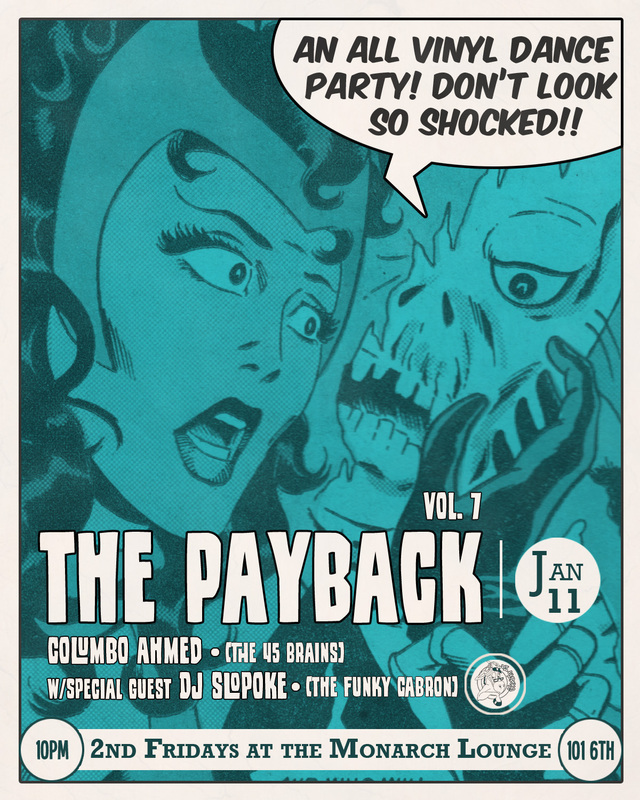 It’s the third round of The Payback. 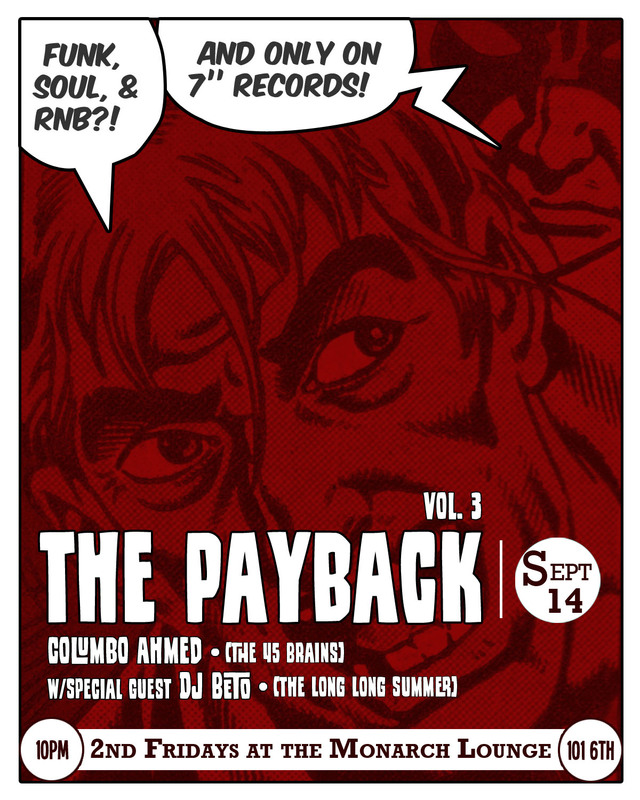 This time I got special guest DJ Beto helping out; Beto is partner of last Payback’s DJ M.Ake and a soul, funk, and RnB guru in his own right. If you’ve been to The Long Long Summer then you know This is one nice dude with some great records. I can’t wait to hear what he will serve up. And oh what secret footage will appear on the big screen? Find out September 14.